For other uses, see August 15 (disambiguation). August 15 is the 227th day of the year(228th in leap years) in the Gregorian calendar.There are 138 days remaining until the end of the year. 636 – Arab–Byzantine wars: The Battle of Yarmouk between Byzantine Empire and Rashidun Caliphate begins. 717 – Arab–Byzantine wars: Maslama ibn Abd al-Malik begins the Second Arab Siege of Constantinople, which will last for nearly a year. 718 – Arab–Byzantine wars: Raising of the Second Arab Siege of Constantinople. 747 – Carloman, mayor of the palace of Austrasia, renounces his position as majordomo and retires to a monastery near Rome. His brother Pepin the Short becomes the sole ruler ( de facto ) of the Frankish Kingdom. 778 – The Battle of Roncevaux Pass, at which Roland is killed. 927 – The Saracens conquer and destroy Taranto. 1018 – Byzantine general Eustathios Daphnomeles blinds and captures Ibatzes of Bulgaria by a ruse, thereby ending Bulgarian resistance against Emperor Basil II's conquest of Bulgaria. 1038 – King Stephen I, the first king of Hungary, dies; his nephew, Peter Orseolo, succeeds him. 1057 – King Macbeth is killed at the Battle of Lumphanan by the forces of Máel Coluim mac Donnchada. 1070 – The Pavian-born Benedictine Lanfranc is appointed as the new Archbishop of Canterbury in England. 1185 – The cave city of Vardzia is consecrated by Queen Tamar of Georgia. 1237 – The Battle of the Puig takes place in the context of the Spanish Reconquista pitting the forces of the Taifa of Valencia against the Kingdom of Aragon. The battle resulted in an Aragonese victory. 1261 – Michael VIII Palaiologos is crowned Byzantine emperor in Constantinople. 1281 – Mongol invasion of Japan: The Mongolian fleet of Kublai Khan is destroyed by a "divine wind" for the second time in the Battle of Kōan. 1309 – The city of Rhodes surrenders to the forces of the Knights of St. John, completing their conquest of Rhodes. The knights establish their headquarters on the island and rename themselves the Knights of Rhodes. 1430 – Francesco Sforza, lord of Milan, conquers Lucca. 1461 – The Empire of Trebizond surrenders to the forces of Sultan Mehmed II. This is regarded by some historians as the real end of the Byzantine Empire. Emperor David is exiled and later murdered. 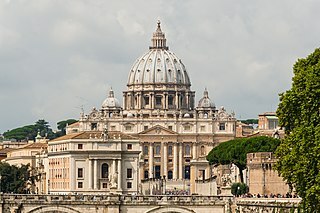 1483 – Pope Sixtus IV consecrates the Sistine Chapel. 1511 – Afonso de Albuquerque of Portugal conquers Malacca, the capital of the Malacca Sultanate. 1517 – Seven Portuguese armed vessels led by Fernão Pires de Andrade meet Chinese officials at the Pearl River estuary. 1519 – Panama City, Panama is founded. 1534 – Ignatius of Loyola and six classmates take initial vows, leading to the creation of the Society of Jesus in September 1540. 1537 – Asunción, Paraguay is founded. 1540 – Arequipa, Peru is founded. 1549 – Jesuit priest Francis Xavier comes ashore at Kagoshima (Traditional Japanese date: 22 July 1549). 1599 – Nine Years' War: Battle of Curlew Pass: Irish forces led by Hugh Roe O'Donnell successfully ambush English forces, led by Sir Conyers Clifford, sent to relieve Collooney Castle. 1695 – French forces end the bombardment of Brussels. 1760 – Seven Years' War: Battle of Liegnitz: Frederick the Great's victory over the Austrians under Ernst Gideon von Laudon. 1824 – The Marquis de Lafayette, the last surviving French general of the American Revolutionary War, arrives in New York and begins a tour of 24 states. 1843 – The Cathedral of Our Lady of Peace in Honolulu, Hawaii is dedicated. Now the cathedral of the Roman Catholic Diocese of Honolulu, it is the oldest Roman Catholic cathedral in continuous use in the United States. 1843 – Tivoli Gardens, one of the oldest still intact amusement parks in the world, opens in Copenhagen, Denmark. 1863 – The Anglo-Satsuma War begins between the Satsuma Domain of Japan and the United Kingdom (Traditional Japanese date: July 2, 1863). 1893 – Ibadan area becomes a British Protectorate after a treaty signed by Fijabi, the Baale of Ibadan with the British acting Governor of Lagos, George C. Denton. 1907 – Ordination in Constantinople of Fr. Raphael Morgan, the first African-American Orthodox priest, "Priest-Apostolic" to America and the West Indies. 1914 – A servant of American architect Frank Lloyd Wright murders seven people and sets fire to the living quarters of Wright's Wisconsin home, Taliesin. 1914 – The Panama Canal opens to traffic with the transit of the cargo ship SS Ancon. 1914 – World War I: The First Russian Army, led by Paul von Rennenkampf, enters East Prussia. 1914 – World War I: Beginning of the Battle of Cer, the first Allied victory of World War I. 1915 – A story in New York World newspaper reveals that the Imperial German government had purchased excess phenol from Thomas Edison that could be used to make explosives for the war effort and diverted it to Bayer for aspirin production. 1920 – Polish–Soviet War: Battle of Warsaw, so-called Miracle at the Vistula. 1935 – Will Rogers and Wiley Post are killed after their aircraft develops engine problems during takeoff in Barrow, Alaska. 1939 – Twenty-six Stukas commanded by Walter Sigel meet unexpected ground fog during a dive-bombing demonstration for Luftwaffe generals at Neuhammer. Thirteen of them crash and burn. 1939 – The Wizard of Oz premieres at Grauman's Chinese Theater in Los Angeles, California. 1940 – An Italian submarine torpedoes and sinks the Greek cruiser Elli at Tinos harbor during peacetime, marking the most serious Italian provocation prior to the outbreak of the Greco-Italian War in October. 1941 – Corporal Josef Jakobs is executed by firing squad at the Tower of London at 07:12, making him the last person to be executed at the Tower for espionage. 1942 – World War II: Operation Pedestal: The SS Ohio reaches the island of Malta barely afloat carrying vital fuel supplies for the island's defenses. 1943 – World War II: Battle of Trahili: Superior German forces surround Cretan partisans, who manage to escape against all odds. 1944 – World War II: Operation Dragoon: Allied forces land in southern France. 1945 – Jewel Voice Broadcast by the Emperor Showa following effective surrender of Japan in the World War II, Korea gains Independence from the Empire of Japan. 1947 – India gains Independence from British rule after near 190 years of Crown rule and joins the Commonwealth of Nations. 1947 – Founder of Pakistan, Muhammad Ali Jinnah is sworn in as first Governor-General of Pakistan in Karachi. 1948 – The Republic of Korea (South Korea) is established south of the 38th parallel north. 1952 – A flash flood drenches the town of Lynmouth, England, killing 34 people. 1954 – Alfredo Stroessner begins his dictatorship in Paraguay. 1960 – Republic of the Congo (Brazzaville) becomes independent from France. 1961 – Border guard Conrad Schumann flees from East Germany while on duty guarding the construction of the Berlin Wall. 1962 – James Joseph Dresnok defects to North Korea after running across the Korean Demilitarized Zone. Dresnok died in 2016. 1963 – Execution of Henry John Burnett, the last man to be hanged in Scotland. 1963 – President Fulbert Youlou is overthrown in the Republic of the Congo, after a three-day uprising in the capital. 1965 – The Beatles play to nearly 60,000 fans at Shea Stadium in New York City, an event later regarded as the birth of stadium rock. 1969 – The Woodstock Music & Art Fair opens in upstate New York, featuring some of the top rock musicians of the era. 1970 – Patricia Palinkas becomes the first woman to play professionally in an American football game. 1971 – President Richard Nixon completes the break from the gold standard by ending convertibility of the United States dollar into gold by foreign investors. 1971 – Bahrain gains independence from the United Kingdom. 1973 – Vietnam War: The United States bombing of Cambodia ends. 1974 – Yuk Young-soo, First Lady of South Korea, is killed during an apparent assassination attempt upon President Park Chung-hee. 1975 – Bangladeshi leader Sheikh Mujibur Rahman is killed along with most members of his family during a military coup. 1975 – Takeo Miki makes the first official pilgrimage to Yasukuni Shrine by an incumbent prime minister on the anniversary of the end of World War II. 1977 – The Big Ear, a radio telescope operated by Ohio State University as part of the SETI project, receives a radio signal from deep space; the event is named the "Wow! signal" from the notation made by a volunteer on the project. 1995 – In South Carolina, Shannon Faulkner becomes the first female cadet matriculated at The Citadel (she drops out less than a week later). 1998 – Northern Ireland: Omagh bombing takes place; 29 people (including a woman pregnant with twins) killed and some 220 others injured. 1999 – Beni Ounif massacre in Algeria: Some 29 people are killed at a false roadblock near the Moroccan border, leading to temporary tensions with Morocco. 2005 – Israel's unilateral disengagement plan to evict all Israelis from the Gaza Strip and from four settlements in the northern West Bank begins. 2005 – The Helsinki Agreement between the Free Aceh Movement and the Government of Indonesia was signed, ending almost three decades of fighting. 2007 – An 8.0-magnitude earthquake off the Pacific coast devastates Ica and various regions of Peru killing 514 and injuring 1,090. 2013 – At least 27 people are killed and 226 injured in an explosion in southern Beirut near a complex used by Lebanon's militant group Hezbollah in Lebanon. A previously unknown Syrian Sunni group claims responsibility in an online video. 2013 – The Smithsonian announces the discovery of the olinguito, the first new carnivorous species found in the Americas in 35 years. 2015 – North Korea moves its clock back half an hour to introduce Pyongyang Time, 8½ hours ahead of UTC. Year 636 (DCXXXVI) was a leap year starting on Monday of the Julian calendar. The denomination 636 for this year has been used since the early medieval period, when the Anno Domini calendar era became the prevalent method in Europe for naming years. 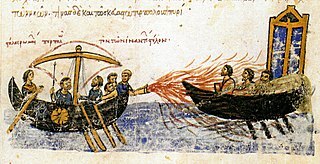 The Arab–Byzantine wars were a series of wars between the mostly Arab Muslims and the Byzantine Empire between the 7th and 11th centuries AD, started during the initial Muslim conquests under the expansionist Rashidun and Umayyad caliphs in the 7th century and continued by their successors until the mid-11th century. The Battle of Yarmouk was a major battle between the army of the Byzantine Empire and the Muslim forces of the Rashidun Caliphate. The battle consisted of a series of engagements that lasted for six days in August 636, near the Yarmouk River, along what today are the borders of Syria–Jordan and Syria–Israel, east of the Sea of Galilee. The result of the battle was a complete Muslim victory which ended Byzantine rule in Syria. The Battle of Yarmouk is regarded as one of the most decisive battles in military history, and it marked the first great wave of early Muslim conquests after the death of the Prophet Muhammad, heralding the rapid advance of Islam into the then Christian Levant. Year in topic Year 1013 (MXIII) was a common year starting on Thursday of the Julian calendar. Princess Teishi, also known as Yōmeimon-in (陽明門院), was an empress consort of the Japanese Emperor Go-Suzaku. She was the third daughter of Emperor Sanjō and the mother of Emperor Go-Sanjō. Year 1171 (MCLXXI) was a common year starting on Friday of the Julian calendar. Year 398 (CCCXCVIII) was a common year starting on Friday of the Julian calendar. At the time, it was known as the Year of the Consulship of Augustus and Eutychianus. The denomination 398 for this year has been used since the early medieval period, when the Anno Domini calendar era became the prevalent method in Europe for naming years. 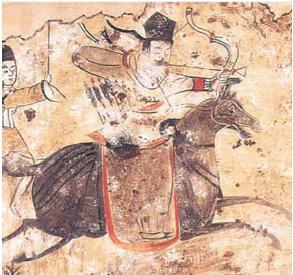 Lan Han was an official of the Xianbei state Later Yan, who killed the emperor Murong Bao in 398 and briefly took over the regime before being killed by Murong Bao's son Murong Sheng. The Xianbei were an originally nomadic tribal confederation residing in what is today's eastern Mongolia, Inner Mongolia, and Northeast China. Along with the Xiongnu, they were one of the major nomadic groups in northern China from the Han Dynasty to the Northern and Southern dynasties. They eventually established their own northern dynasties such as the Northern Wei founded in the 4th century AD by the Tuoba clan. During the Uprising of the Five Barbarians they became categorized as one of the Five Barbarians by the Han Chinese. Saint Alypius of Thagaste was bishop of the see of Tagaste in 394. He is also credited with building the first monastery in Africa. He was a lifelong friend of Saint Augustine of Hippo and joined him in his conversion and life in Christianity. Most of what is known about him comes from Augustine's autobiographical Confessions. The Assumption of Mary into Heaven is, according to the beliefs of the Catholic Church, Eastern and Oriental Orthodoxy, the bodily taking up of the Virgin Mary into Heaven at the end of her earthly life. Independence Day, celebrates the independence of India from the United Kingdom in 1947. Independence Day, celebrates the independence of the Republic of the Congo from France in 1960. Armed Forces Day, known also as the Feast of the Polish Armed Forces, is a national holiday celebrated annually on 15 August in Poland, commemorating the anniversary of the 1920 victory over Soviet Russia at the Battle of Warsaw during the Polish–Soviet War. Armed Forces Day is held in conjunction with the Day of the Assumption of the Virgin Mary, itself a separate public holiday. The event is marked by military parades, equipment reviews, showcases and remembrances by all branches of the Polish Armed Forces across the country. One of the most prominent events of the day is in the capital Warsaw, which hosts a large military parade through the city's center. Originally celebrated during the Second Republic, the holiday was barred by authorities during the communist era beginning in 1947, only to be revived again in 1992. Saint Altfrid was a leading figure in Germany in the ninth century. A Benedictine monk, he became Bishop of Hildesheim, and founded Essen Abbey. He was also a close royal adviser to the East Frankish King Louis the German. November 11 is the 315th day of the year in the Gregorian calendar. There are 50 days remaining until the end of the year. October 28 is the 301st day of the year in the Gregorian calendar. There are 64 days remaining until the end of the year. October 23 is the 296th day of the year in the Gregorian calendar. There are 69 days remaining until the end of the year. September 13 is the 256th day of the year in the Gregorian calendar. There are 109 days remaining until the end of the year. December 23 is the 357th day of the year in the Gregorian calendar. There are eight days remaining until the end of the year. ↑ Hannan, Caryn (1 January 2008). Massachusetts Biographical Dictionary. State History Publications. pp. 165–. ISBN 978-1-878592-66-8. ↑ McFarlane, Brian (2014). "Dale, Jim (1935-)". BFI Screenonline. Retrieved 18 August 2018 ; Blackwell, Earl (1990). Earl Blackwell's Celebrity Register, 1990. Detroit, Mich.: Gale Research. p. 107. ISBN 9780810368750. ↑ Boilen, Bob (15 May 2011). "First Listen: King Creosote and Jon Hopkins, 'Diamond Mine'". NPR . Retrieved 28 May 2011. ↑ Buyanovsky, Dan (May 6, 2013). "From The Mag: Chief Keef At Home". XXL . Townsquare Media . Retrieved May 10, 2013. ↑ Ammar, Abu (2001). "Criticism levelled against Imam Abu Hanifah". Understanding the Ahle al-Sunnah: Traditional Scholarship & Modern Misunderstandings. Islamic Information Centre. Retrieved 2018-06-13. ↑ "Islamic Hijri Calendar For Rajab - 150 Hijri". habibur.com. Retrieved 2018-06-13. ↑ Hogan, J.F. (1898). Irish Monasteries in Germany. Irish Ecclesiastical Record, 4th series, Vol. 3. pp. 526–535. Wikimedia Commons has media related to August 15 .